NEW ORLEANS (AP) — A lawyer working for the court-appointed administrator reviewing claims as part of a multibillion-dollar settlement over BP's Gulf oil spill has been accused of receiving payments from a law firm representing a claimant, allegations that were discussed in a closed-door meeting Thursday with a federal judge overseeing the case, a BP official with direct knowledge of the situation told The Associated Press. The BP official, who has reviewed a report outlining the allegations, said claims administrator Patrick Juneau delivered a copy of the report to U.S. District Judge Carl Barbier during a meeting in his chambers. Lawyers for BP and the team of private attorneys who brokered the settlement also attended the meeting. The BP official spoke on condition of anonymity because the report hasn't been made public. The lawyer under scrutiny, Lionel H. Sutton III, acknowledged in an email late Thursday that he has been told he was suspended "pending an investigation of an anonymous allegation against me." "I have not been made aware of the substance of the allegation or the status of the investigation," Sutton wrote. "Once this is resolved, I would be happy to discuss it all with you." The report indicates that Juneau's s security head, David Welker, also notified the FBI's New Orleans division about the lawyer's alleged misconduct. Welker until recently was the special agent in charge of the FBI office in New Orleans. The BP official said Juneau told the judge that he has suspended Sutton and is weighing further disciplinary action. Neither Juneau nor his spokesman responded to calls and emails on Thursday night. The report says the head of security for Juneau's office received a complaint that the staff attorney had referred claims to a New Orleans law firm in exchange for portions of subsequent settlement payments. The lawyer allegedly filed those claims before he went to work for Juneau. The claims at issue were filed on behalf of a single claimant and involve hundreds of thousands of dollars, the BP official said. 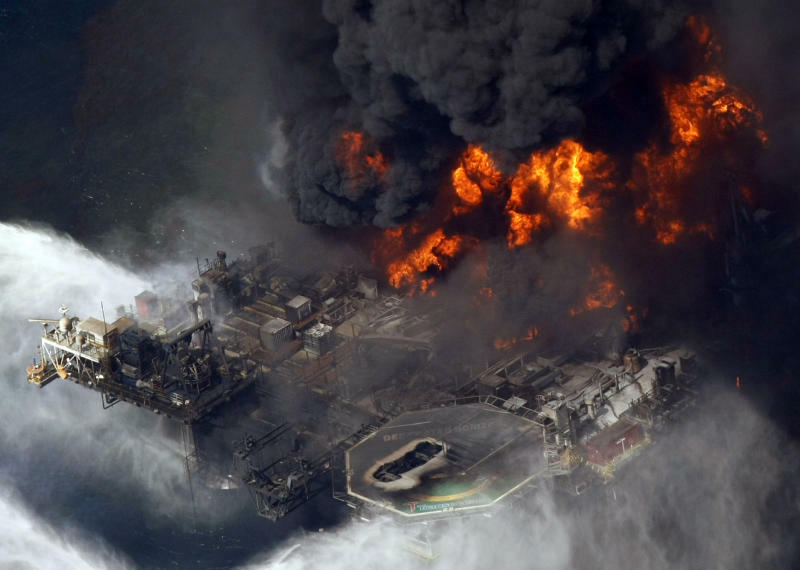 BP has sued to block what could be billions of dollars in settlement payouts to businesses over the spill. The London-based oil giant has accused Juneau of trying to rewrite the terms of the deal and claims he has made decisions that expose the company to fictitious losses that were never contemplated in the settlement. Barbier appointed Juneau last year and has upheld his decisions for calculating payments. BP has appealed, and the 5th U.S. Circuit Court of Appeals is scheduled to hear the case in July. The spill began in April 2010 after the BP-leased drilling rig Deepwater Horizon exploded off the Louisiana coast, killing 11 workers. Roughly 200 million gallons of crude oil were released from the Macondo well a mile under the Gulf surface. Marshes, fisheries and beaches from Louisiana to Florida were fouled by the oil until a cap was placed over the blown-out well in July. It wasn't immediately known how many lawyers work for Juneau, but his office announced in May that it has determined more than $3 billion in claims are eligible for payment through the settlement agreement. More than 162,000 claims were filed and more than $2 billion had been paid to claimants as of May 6.